The Mistral Combi Standard CC2 is a highly efficient oil boiler with an output of 20-26kW that can be installed outdoors or indoors, depending on which you’d prefer. A multi-directional flue outlet makes the flexible installation possible and also gives heating engineers easy access to the boiler for servicing. Featuring built-in frost protection and a zinc phosphated casing, Mistral Combi Standard boilers are fully-insulated, weather resistant and well protected all year round, even during the winter. The unit also comes with a lockable cabinet door for added security. 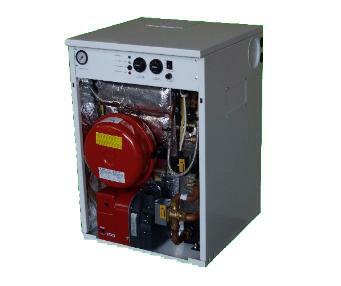 This extremely reliable Mistral boiler comes with a 5 year warrant on the heat exchanger and 2 years warranty on the burner and controls. Unfortunately, we are unable to display a price range for this product as all prices are only available on application or at installation.